Winter is here: the leaves have nearly finished falling, the weather’s getting colder and our supermarket aisle are beginning to fill up with Christmas goodies. 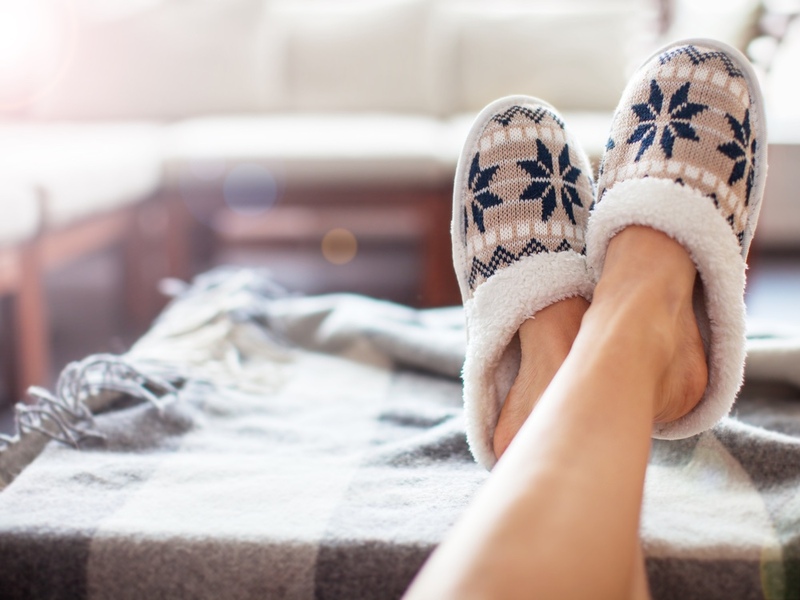 While you may have taken out those warmer clothes and starting to plan some festivities, it’s also a good time to think about your winter foot care. During the summer, we take extra care of our feet. That’s because they’re on show more often than not, whether it’s wearing sandals, open toed shoes or simply going barefoot on the sand. Any small issues with our feet can often be exacerbated over the winter months. That’s normally because we keep them covered and don’t notice any warning signs or have given them the care and attention they need. Here are a few of the common issues we hear about at our clinic. We associate chilblains with icy cold winter days. While largely harmless, they can be a sign of poor circulation in some people and not something you should totally ignore. Chilblains show up as red, splotchy patches on the feet and fingers and are exacerbated by going from the cold outside into a warm room or building. Chilblains can be itchy and painful so it’s worth making the right decisions on your footwear when you do have to go out. Ideally, if it’s chilly outside and there’s ice on the ground, wool socks and a pair of comfortable boots or shoes should be the order of the day. If you do find yourself suffering from chilblains, don’t feel tempted to put your feet close to the radiator or fire to warm them up as this can actually make things worse. Put on some warm loose layers and let your extremities come up to room temperature gradually. Because our feet are covered a lot in winter, they often get hot and sweaty. If you are prone to infections such as athlete’s foot, this can create the ideal environment for it to thrive. Checking your feet regularly and keeping them dry can help reduce the chance of athlete’s foot forming in the first place. If it does, podiatrists like Beauchamp Foot Care can advise on anti-fungal creams that should help with the problem. One word of warning with athlete’s foot though: It is highly contagious so make sure you don’t share towels or walk around barefoot if other people are in the house. Another common problem, especially in really cold weather, is cracked heels. This happens because the feet are kept covered and aren’t taken care of properly. Those who suffer from diabetes also need to take more care in the winter time. Give your feet regular checks and make sure there are no problems with them. Lack of nerve sensation and poor blood circulation can mean that you fail to notice warning signs when you keep your socks on. Everyone should have a regular foot care regime, whatever the time of year. It’s the easiest way to prevent problems. First of all, it’s important to keep your feet clean and the nails manicured if you want to avoid a variety of foot problems. You can use a pumice stone to stop hard skin building up, for example, and regularly trim your nails to stop them growing in. A good moisturizer will also prevent you skin getting too dry, especially in winter. If want to make sure your feet stay healthy during the winter time, it always pays to visit a qualified podiatrist such as those at Beauchamp Foot Care. You’ll get specialist advice and treatment to ensure that those feet stay in fine condition. If you’d have a specific problem or would like to discuss effective winter foot care, make an appointment at the Beauchamp Foot Care Clinic in Knightsbridge, London today.